Show the world (well, at least your friends and family) where you like to play paintball by sporting LOF Stuff. From T-shirts to car tags to drink coolers there's always some way to say "LOF is the place to play". 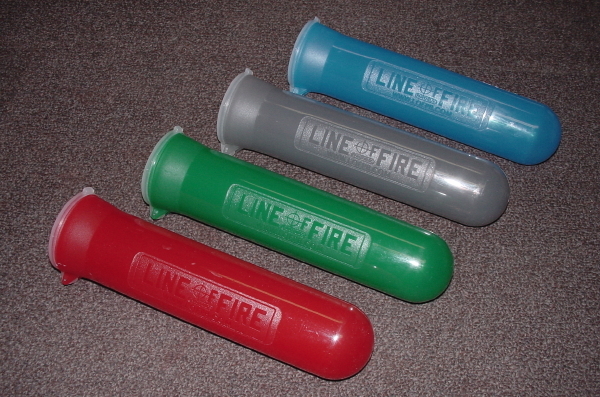 Here's our latest addition....LOF 140rd Supertubes (in 5 colors - Red, Blue, Green, Smoke & Clear). 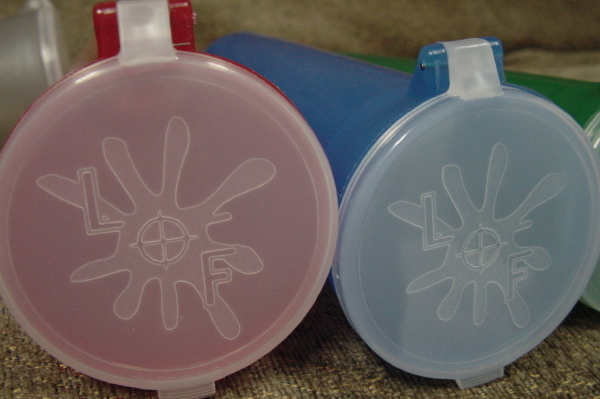 ....and the lids even have the new LOF crosshair logo embossed on the inside. Starting at only $2.50 each and quantity discounts applying, these are sure to move fast. Get yours today! !